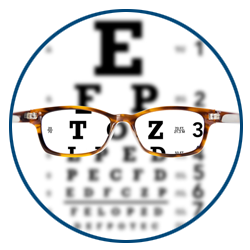 Bifocal lenses are designed to provide patients who have refractive errors with great vision at all distances. Bifocal lenses are also helpful to those living with presbyopia, a vision problem that occurs in middle age, causing blurry near vision. Bifocals come in both soft and rigid gas permeable materials. These contact lenses are increasing in popularity as technology keeps advancing, allowing for the most comfortable and effective contact lenses available today. How do Bifocal Contact Lenses work? Alternating vision. These lenses are called “alternating” because your pupil alternates between the two powers, as your gaze shifts upward or downward. The contact lens stays stationary in the eye, and works almost exactly like bifocal glasses. Simultaneous vision. These lenses require your eye to be looking through both distance and near powers at the same time. This might sound impossible, but your eye learns to select the correct power choice depending on how close or far you’re looking. Will Bifocal Lenses work for me? 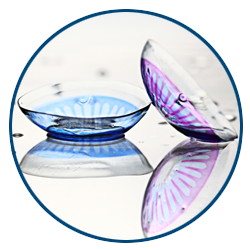 Bifocal contact lenses have been around for a long time, but have only recently gained popularity as designs have improved in comfortability and function. Luckily, there are now many designs to choose from, making them more customizable to each of our patients. Bifocal lenses are widely used and loved by those with refractive errors such as presbyopia, which affects near vision. Dr. Schwartz will determine which type of bifocal contact lenses are best for you, while keeping your lifestyle and needs in mind. Are you looking for the solution to your near vision problems? 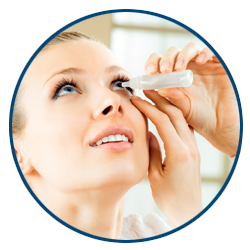 Bifocal contact lenses might be right for you! 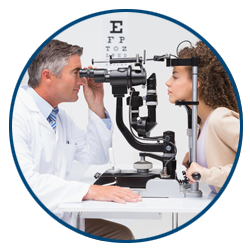 Call Dr. Schwartz at EyeSymmetry located in Owings Mills today to schedule your appointment.